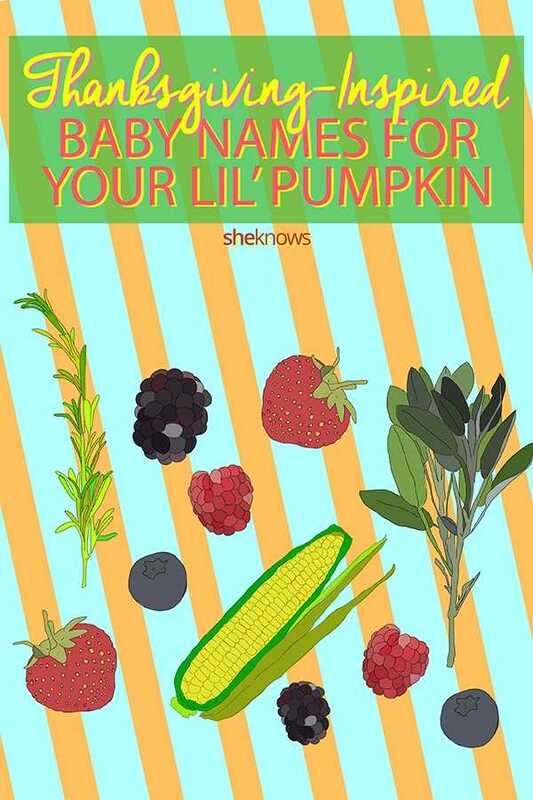 If you’re ready to pop your baby out right around the time the turkey hits the table, then we have a bold idea for you: Why not give your baby a Thanksgiving-inspired baby name? OK, just hear us out. We wouldn’t suggest you name your kid “Turkey,” “Pumpkin Spice” or “Stuffing” — although you do you. Instead, think about what’s supposed to make Thanksgiving special. Family, friends, home, togetherness and thankfulness, right? That and the best food ever. Jonathan: This is actually a type of apple, and you’re totally eating a whole apple pie this year, right? Maizie: Hey, it sounds like maize, which means corn, so we’ll take it. Yep, Thanksgiving is a fraught holiday based on a violent history that many simply choose not to celebrate, with good reason. But it’s worth remembering that in all the dark times throughout American history (hi, 2017), there have been some shining lights too. Below are a few names inspired by Americans we can all be grateful for. Sarah: Sarah Josepha Hale was not only a prolific writer and editor, but she spent much of her life crusading for more educational opportunities for girls and women — and she also pushed for a national Thanksgiving holiday. She wrote a letter to Abraham Lincoln urging him to create the holiday, and he did. Abraham: Abraham Lincoln announced an official Thanksgiving holiday to take place on November 26, 1863. Franklin: In 1939, Franklin Roosevelt moved the official Thanksgiving holiday to the third Thursday in November, but a few years later agreed to reset it permanently to the fourth Thursday. Truman: While historical experts dispute the notion that Harry S. Truman was the first president to pardon a turkey, the myth lives on. And Truman is a great name anyway, so it could be a great choice for a Thanksgiving — or any day — baby. So if your bundle of joy arrives on or near this coming Thanksgiving, maybe steer clear of naming her “Casserole” and embrace one of these names inspired by the holiday instead.